Forget outbreaks of hostilities between nations; some of the fiercest, deepest and most bitter enmities are actually inside countries' own borders. Think the deep divide between Scotland's Edinburgh and Glasgow, the cultural competitiveness of Tokyo versus Osaka in Japan, and, on a more serious and divisive note, the long-running antipathy between Madrid and Barcelona that plunged Spain into yet another crisis last year. 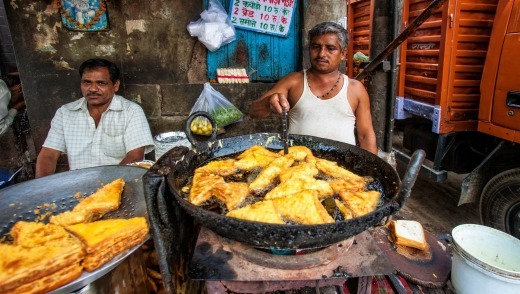 Then there's India's so-called "samosa-vada pav war" that typifies the bite-sized regional rivalries between Delhi and Mumbai. It's a case of one country, two cities and almost a world of difference. There's usually at least one clear winner from the festering feuds, however – the traveller. "Absolutely," says Sacha Bunnik, managing director of Bunnik Tours. 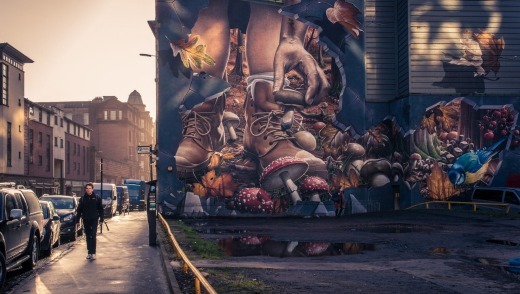 "Healthy rivalry sees cities looking to really support and celebrate the attractions that are special to their location and, because the city is contrasted against another, it may be within your field of vision where previously it was not. "You now have an entirely new base of experiences to uncover that can really help round out your tour for a fuller understanding of the country you are visiting." Fortunately, most of these rivalries, such as the one between Sydney and Melbourne, tend to be friendly and good-humoured. They only tend to get serious when soccer teams meet, says Steve Reynolds, chief executive of APT. "A little friendly rivalry keeps things interesting and pushes progress, so I certainly think it is a good thing," he says. "For tourists, it can add character to a destination, make you feel like a local if you embrace their passion, and provides a chance to learn some of the history, like how it all started and what events have occurred because of it." Sue Badyari, chief executive of World Expeditions, agrees. "Competition of any kind generally raises standards, and rivalry between cities is no exception," she says. "Healthy competition between cities is great for the traveller because it forces tourism bodies and cities to be more creative in their offering and make a case for visiting their city over another." City rivalries can also be a lot of fun (and at times a little silly, even petty), especially for the outsider seeking to define just what it is that makes a place special and different, which is why Traveller has reached for its whistle to act as referee between some of the most competitive cities on the planet. If you see a man on an Edinburgh street with a golf club, locals say, there's a good chance he's going to play golf. If you see him in Glasgow, then take cover. Glaswegians, however, are just as scathing about their rivals. If you visit someone late in the afternoon in welcoming Glasgow, they say, your host's immediate response: "You'll be staying for dinner, then." 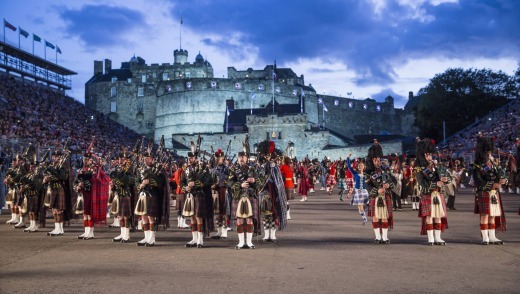 And if you call on someone in Edinburgh at that same time, it'll be: "You'll have had your dinner then …"
Edinburgh has long been the traditional sentimental favourite with its lofty castle, historical Royal Mile and stirring Royal Edinburgh Military Tattoo. But Glasgow spruced itself up during its 1990 reign as Europe's City of Culture, and has wonderful food, the Kelvingrove Art Gallery and Museum – Scotland's most visited free attraction – and Style Mile, the biggest shopping area outside London. The rivalry apparently began in the 17th century, over a loaf of bread, when bakers from Edinburgh criticised the quality of those in Glasgow, and has risen ever since, through football, politics, business and culture. Glasgow is bigger, brasher and funnier – where else would a traffic cone placed on the head of a Duke of Wellington statue be both tolerated and celebrated? – although the accent is murder to understand at first. Glasgow also has festivals every week of the year, and its Charles Rennie Mackintosh-designed 1903 Miss Cranston's Willow Tea Rooms are absolutely gorgeous. Porto people insist their city is prettier with cobbled streets and medieval alleyways set along the picturesque Douro River and, they're keen to point out, it's where "the Liberator" King Peter IV left his heart. His body, after his death, went on to Brazil. 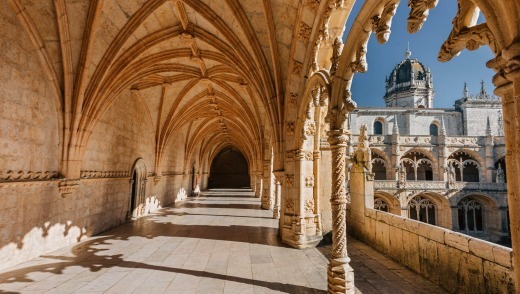 Lisboetas also have their history, including the world's most expensive chapel, the Sao Roque Church, and Jerónimos Monastery, where explorers were blessed before leaving on an expedition. In 1755, an earthquake destroyed much of the city so it also has lots of elegant modern architecture. Porto of course has lots of port tastings (they say it has the most alcohol per square metre of any city), and Lisbon, its famed Portuguese tarts. The ill feeling goes back to 1255 when Lisbon was made the capital over Porto, and expresses itself today in fierce rivalry between their two football teams. Lovely Lisbon has so much to see and do and, being bigger, isn't as choked with visitors as Porto. It also feels younger, and more vibrant and vivacious. Marseillais always feel that their much wealthier, more powerful (read: arrogant) neighbours look down on them, for their working-class roots and racial mix. Parisians swear they don't (but they actually often do). 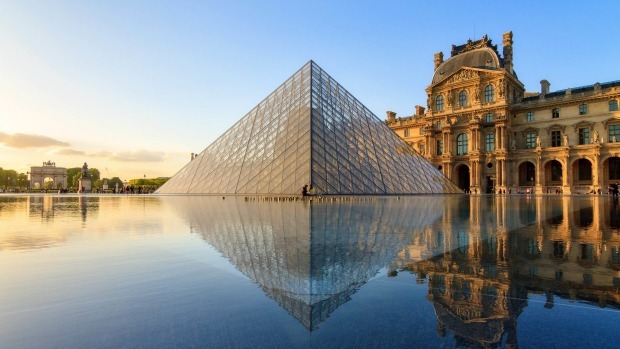 Everyone has to visit Paris at least once in their lifetime for its air of romance, the Eiffel Tower, the Louvre, Notre-Dame, the Champs-Elysees, Montmartre and all those other lovely landmarks we've come to know so well from the movies. 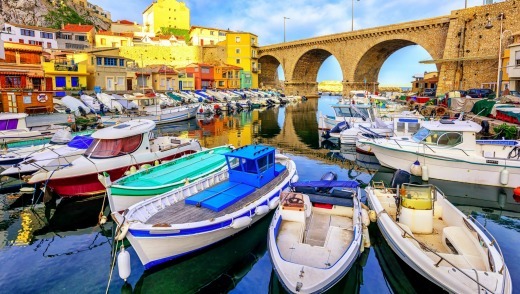 But Marseille in the south of France is a delight, too, for its balmy days, friendliness, beaches, museums, theatres, cinemas, parks, shops and great restaurants and bars. Paris was a Gallic-built inland city on a river; Marseille was constructed by Greek colonists on the Mediterranean coast. Marseille didn't come under Paris' rule, as the seat of the French crown and government, until the 15th century, and remains a wayward rebel. If you've already seen Paris, then check out Marseille. It's so much more relaxed, easy to get around, informal, hospitable and fun. Those living in the Catalan capital Barcelona see themselves as at the very vanguard of architecture, art and design, and as the epitome of chic. Many Madrileños, however, feel Barcelona could be about to vanish up its own traseros and that it has suffocated the golden goose by concentrating so heavily on tourism that visitors and locals alike feel overwhelmed by the crowds. Barcelona is an exceptionally elegant seaside city, with all the Gaudi spires and curves, early works of Picasso and gothic medieval sector, while Madrid is full of history, art, culture, music and amazing gastronomy, with a state-of-the-art public transport system that makes it easy to explore. The rivalry dates back to the War of Spanish Succession in 1714, putting Spain in charge of Catalonia, and has recently flared again, with attempts at a Catalonia succession and more independence. Madrid wins on its warm sense of community and fabulous people-watching, especially since it's twice the size of Barcelona with half the tourism. New Yorkers think people from Los Angeles are all in La La Land, doing odd jobs in between surfing and waiting for their big acting break. Angelenos see New Yorkers as stressed, overworked mice on a bleak treadmill of life, jealous of their laid-back west coast lifestyle, beaches and weather. When you're in New York, you can't help feeling you're at the centre of the universe – a place that's sassy, smart, confident and important. There's Wall Street, Broadway, Central Park, the Statue of Liberty and great bagel shops. 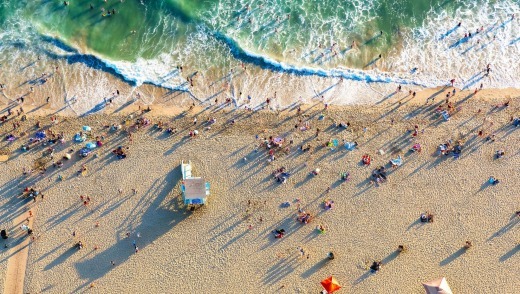 LA is fun and hip and happening, with Hollywood, Disneyland, Venice Beach and always the chance of celebrity sightings. The cities are chalk and cheese; one the high-rise financial capital, the other a sprawling sunlit suburban oasis. It's a rivalry intensified by the Yankees versus LA Dodgers and the fact that so many New Yorkers are moving, for lifestyle, to LA. As the song says, if you can make it there, you can make it anywhere. New York is simply one of the world's greatest cities – sleek and sophisticated with so much to see and do, and a buzz like no other. With national capital Delhi the centre of government and Mumbai the financial capital, Mumbaikars are keen to portray their rivals as corrupt deadbeats who rely on political patronage for a living, while Delhiites like to flaunt their comparative wealth over their poorer cousins. 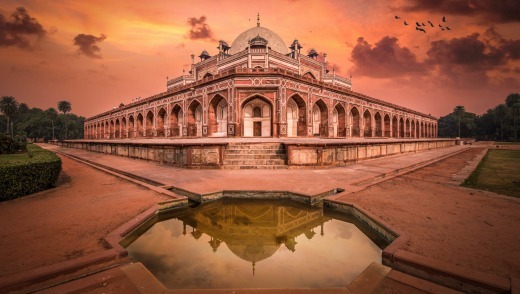 The Indian capital Delhi is a vast metropolis with incredible monuments, including the Mughal Red Fort, the Jama Masjid Mosque and incredible bazaars and street food, such as the speciality samosa. Even better, the Taj Mahal is only a day trip away. Mumbai, the country's biggest city, has the iconic Gateway of India arch, Marine Drive for water sunsets, even more bazaars selling the local delicacy vada pav, and nearby Elephanta Island with Shiva cave temples. Mumbai started out as a fishing village that grew into a great port city. Delhi was a city built from scratch to be the capital. Resentment was always inevitable. You can pick a comfortable time to visit Delhi according to the season you prefer. In Mumbai, you can choose hot or hot and wet. People in Osaka view themselves as friendlier and more outgoing, with a great sense of humour, and see those in Tokyo as more staid and stand-offish. Edokkos from Tokyo, however, view themselves as more sophisticated than their western region counterparts. Tokyo is a furiously modern city with a vast mix of attractions, from stunning skyscrapers to beautiful ancient temples; from the busiest crossroad in the world to the most serene gardens as well as wacky people and cat cafes. Osaka, the historic capital, has lovely olde-worlde pockets with charm and charisma, as well as fast-paced nightlife and some delicious food. As the old capital and the new, the rivalry has been long-standing and is still today a regular TV discussion point. The difference between life in the two cities, however, is acute, from the regional dialect spoken to the food, fashion and even which side of the escalator on which one stands (on the left in Tokyo and on the right in Osaka). Osaka has so much of both the history and the modernity but in a much more manageable size – and with very welcoming locals. The tensions in modern Russia between the old autocratic ways championed by Moscow, and the liberalism of St Petersburg, leads to Muscovites calling the Piterets dreamers with their heads in the clouds, while they're much more hard-working and productive. In return, the Piterets see the Muscovites as rougher, less sophisticated, pushier people, in stark contrast to their own kindly, gentle and more cultured ways. 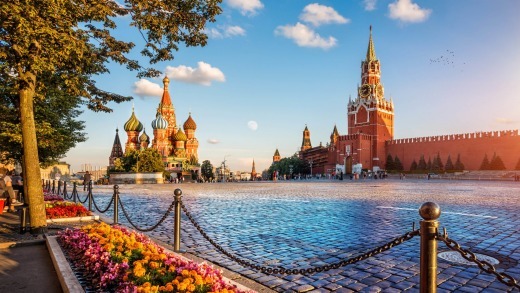 Moscow has so much history, grandeur and revolutionary spirit with the Kremlin, Red Square, Lenin's mausoleum, the Bolshoi Theatre and the beautiful multicoloured, onion-domed St Basil's Cathedral. St Petersburg has The Hermitage, with da Vinci, Picasso and Rembrandt masterpieces – officials say it would take 11 years to see every exhibit – the Winter Palace and the amazing Saviour-on-the-Blood, the weirdly gaudy cathedral built on the site of the tsar's assassination in 1881. Cultural capital St Petersburg was planned and built by Peter the Great as Russia's window to the West and has always served as a force for Westernisation against Moscow's more authoritarian, conservative stance. There's an old Russian saying that Moscow is the heart, and St Petersburg the head and, in my book, heads win. It's so pretty, with its canals, bridges and architecture earning it the moniker of the Venice of the North. People from the Moroccan cultural capital Fes see their rival, the old imperial city of Marrakech, as all about business with little culture and sense of community. Those from Marrakech talk about the medieval streets of Fes as dirty, noisy and impossible to navigate. Both cities are fun and lively, with opulent palaces (riads), busy medinas and more local colour than is possible to imagine. Marrakech is easier to get around and has more tourist services to make it simpler to visit mosques, such as its 12th-century Koutoubia Mosque, its Berber medina, gardens and palaces, while Fes, with its Fes El Bali walled medina, ancient architecture and buildings adorned with fine cedar carvings, is busier, dustier and more labyrinthine. Marrakech was founded in the south in 1070 and served as the capital until it moved to Fes, in the north, in 1269. A reversal of fortunes saw Marrakech back to the capital in 1549. Now, to keep things civil, the capital is Rabat. Fes is a city that offers a real step back in time, with some of the most beautifully preserved historic towns of the Arab world and a maze of alleyways that feel like a home to all humanity. When it comes to the rivalry between the British cities' universities, Oxford students see themselves consistently as brighter, while Cambridge students point to their higher place in the world university rankings. Then the entire nation takes sides for the annual boat race between the universities that has played out over a six-kilometre stretch of the Thames every year since 1829. Oxford has world-class museums, a Victorian market, the fabulous 1524 Christ Church College that produced 13 British prime ministers, is where Alice in Wonderland author Lewis Carroll once taught – there is a stained glass window commemorating him and Alice – and provided Hogwarts' Great Hall for Harry Potter as well as the location for Inspector Morse's various adventures. Cambridge has similarly architecturally stunning colleges, a great street food scene, a marvellous botanic garden, a huge free museum and the chance to punt down the River Cam. Academics fleeing Oxford founded the only other university in England back then, Cambridge, in 1208, so Oxford claims line honours. Cambridge's Footlights, however, has grabbed more kudos, producing many of Britain's most famous stars, including John Cleese, Peter Cook, Hugh Laurie, Stephen Fry, Emma Thompson and John Oliver. It's hard to beat Oxford's dreaming spires and misty vistas in that oh-so-very-British Brideshead Revisited style. The two nations have been involved in a series of conflicts dating back to the Anglo-French War of 1193 with simmering tensions ever since – a major contributor to the Brexit decision. Many Americans think of Canada as their 51st state, yet most Canadians feel that distancing themselves from Americans is an intrinsic part of their identity, something they've been doing with increasing fervour since Trump's rise to power. A new land reform law in Honduras in 1962 took land from Salvadoran migrants to give to native Hondurans and sparked the Football War between the two nations in 1969. The military conflict coincided with a series of 1970 World Cup football qualifiers during which fans of the two sides rioted. In the battle for the tourist dollar, Kenya has the Maasai Mara but Tanzania has the bigger Serengeti; Kenya has views of Mount Kilimanjaro but you can only climb from Tanzania; Kenya has great rhino protection programs; Tanzania has chimpanzees out at Greystoke. There were no fewer than 11 wars between these neighbours in the 300 years from 1521, but the rivalry these days is much more friendly, with locals regularly crossing the 16-kilometre bridge and tunnel between Copenhagen and Malmo. Sydneysiders see the rivalry as a stunning harbour versus a muddy brown river, an architecturally iconic Opera House versus Federation Square, and a sunny beach lifestyle versus a life half-lived indoors. Melburnians, in contrast, consider it to be more about a city overflowing with culture competing against one from which it's largely absent, a world of stylish laneway bars and chic restaurants against a barren Leagues Club-land, and nights of vibrant entertainment from a plethora of comedy clubs and live venues up against Sydney's grim lock-out laws. This classic two-city rivalry is a war of words still waged on the beaches, at sporting events and anywhere anyone is prepared to listen. "If we had to define what makes Melbourne unique we know that it's a case of 'to see' versus 'to do'," says Peter Bingeman, chief executive of Visit Victoria. "Sydney is a beautiful city to see, but Melbourne has an unequalled depth of experience for visitors. "We're a 24-hour metropolis, a gastronomic powerhouse and we have more live music venues per capita than anywhere else in the world, and a full major-events calendar. Another key difference is our passionate creative communities, world-class venues and a constant drive to push the boundary of what's possible." Sydney, however, is keen to hit back. "While Melbourne might market itself as a second-rate European city, in Sydney we don't pretend to give visitors anything other than a quintessential Aussie experience," says Adam Marshall, NSW Minister for Tourism and Major Events. "Let's face it, the Yarra doesn't compare to the Seine and Federation Square is hardly an Arc de Triomphe. We all know those wanting a slice of Europe would rather head to London, Paris or Rome – even if Melbourne has better coffee. "Those wanting the real deal Aussie experience come to Sydney. Whether it's walking barefoot on Bondi Beach, seeing a show at the Sydney Opera House, exploring the city's Aboriginal and colonial heritage or taking a ferry across Sydney Harbour, our city has it all." But does it really? With Melbourne's 2019 dance card including Harry Potter and the Cursed Child, Australia's Boomers versus USA Basketball, the Australian Open, the Formula One Australian Grand Prix, the Melbourne Cup and more, Bingeman thinks not. "Melbourne competes on the global stage, as recipient of awards including the Best Major Events Strategy, Best Venues and Best Large City for Major Events at the 2018 Ultimate Sports City Awards, which positions us alongside cities like London and New York," he says.